Posts with tag: "Patrick Stewart"
This is my favorite Dragoncon 2014 photo. The Make-a-Wish foundation made it possible for 10 year old Dawn Garrigus, who has a life threatening illness, to meet Patrick Stewart backstage. He was about to speak to a packed room of 2000 people, but they sat down and he really focused on her; they talked for about 15 minutes. As things are winding down and she and her family are getting ready to go, Dawn unexpectedly throws him this huge hug, and you can see the happiness in both their faces. Bravo Sir Patrick! 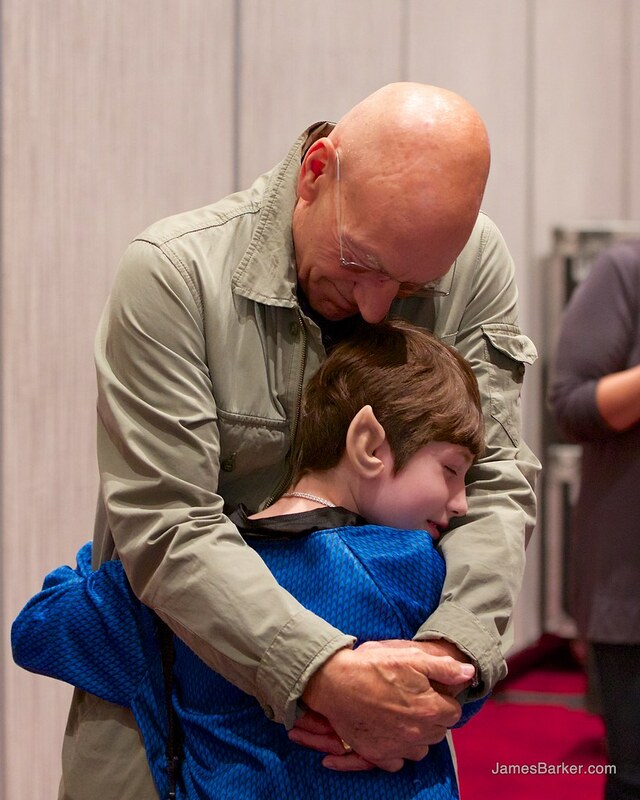 Hats-off to Make-a-Wish for making this possible http://wish.org and for Patrick Stewart for being such a class act.